On March 22, join Gold Certified ballroom dance instructor T.J. Holcombe at Jozart Center for the Arts in California for a swing dance lesson from 7-8 p.m. followed by a dance party from 8-10 p.m.
T.J. is a nationally ranked professional ballroom dancer whose achievements include placing at the 2008 National DanceSport Competition. A former dance instructor at Panama City, Florida’s Fred Astaire Dance Studio, he helped to found California University of Pennsylvania’s Ballroom and Latin Dance Club. 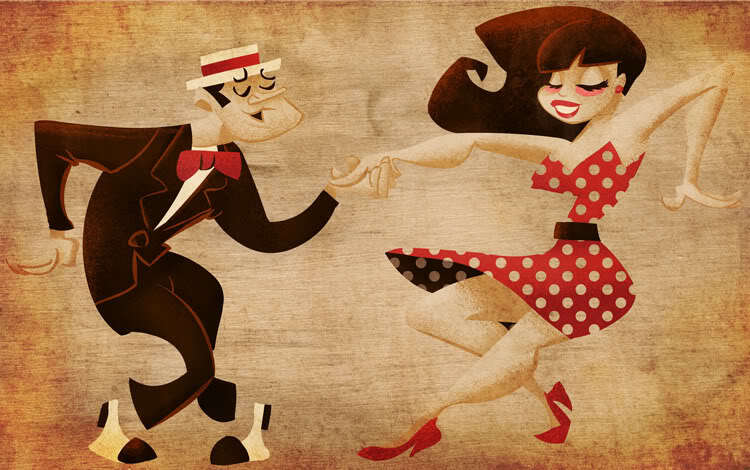 T.J. calls his style “American Smooth and Rhythm” which includes the foxtrot, waltz, tango, rumba, cha cha, mambo, swing and samba, as well as variations of the aforementioned. Wear your brightest spring couture and join T.J. for an unforgettable evening. BYOB for over 21. The cost of the lesson/dance party is $10/person or $15/couple. This will be the first in a series of ballroom dance lessons/parties to be held monthly at Jozart CFTA, a non-profit arts center. Different styles will be offered. For more information or to reserve your slot, call Carla at 724-938-9730, email Cheryl at cher@zoominternet.net or RSVP online on the Facebook event page. Tony Janflone Jr., Nov. 17th at 8 p.m.
Open Mic is Every Wednesday from 8-11 p.m.
Jozart Center for the Arts has a full slate of programs and events planned for fall 2012. 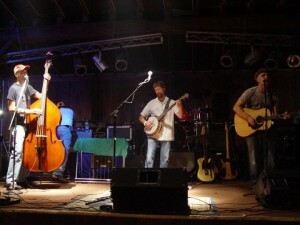 In October, bluegrass band The Weedrags will perform on Oct. 12, with local band LocaL opening for the talented trio. The Weedrags are an area favorite featuring musicians Gary Antol, Andy Gregg and Mark Snyder. Check out their unique sound at www.theweedrags.com. Don’t miss this opportunity to see them in Jozart’s intimate setting, with BYOB for over 21 with ID. Doors open at 7:30 p.m. with the show starting at 8. Tickets are $10 in advance and can be reserved by calling the Center or sending an email to carla@jozart.com. The Center will be open during California’s Homecoming Parade serving complimentary coffee and light refreshments to parade-goers. If you’ve never visited the Center, take advantage of this opportunity to tour the 7,000 square foot space. Board members will be on hand to answer your questions. Also in October, the Center will hold their annual Halloween Open Mic Party on Wednesday, Oct. 31. 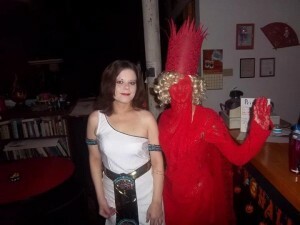 Come in costume and vie for prizes for best and most original attire. Enjoy coffee and tea in the Center’s café while jamming along to the sounds of area talent. Sign up for a performance slot and wow an all-ages audience. 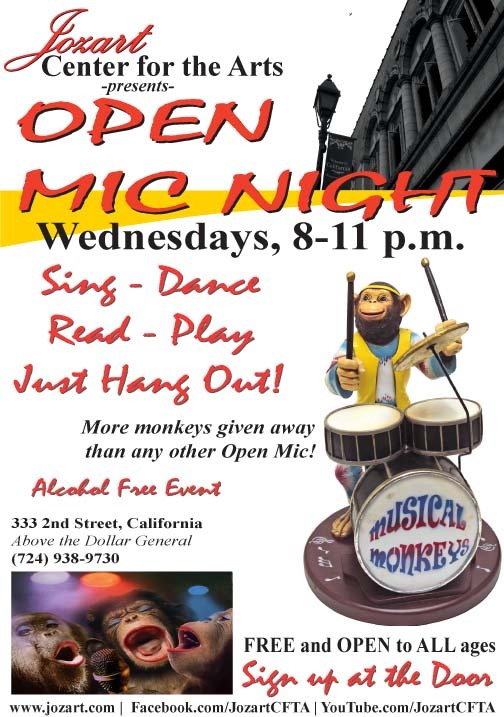 Open Mic is held every week and begins at 8 p.m. This alcohol and smoke free event is free and open to the public. Another “Wine and Line” event is scheduled for Tuesday, Oct. 30. Bring a bottle of wine and a light snack and join teaching artist Joyce Gazdick as she guides you in the creation of an original oil painting. There is a $20 fee, part of which directly benefits the Center’s operating expenses. All materials are provided. For more information about “Wine and Line” email Cheryl Lewis at cher@zoominternet.net or call the Center. In November, the Weedrags will return to the Jozart stage on Nov. 9 with opener The Hillbilly Gypsies for another BYOB for over 21 show. Doors open at 7:30 p.m. with the show starting at 8. Tickets are $10 in advance and can be reserved by calling the Center or sending an email to carla@jozart.com. 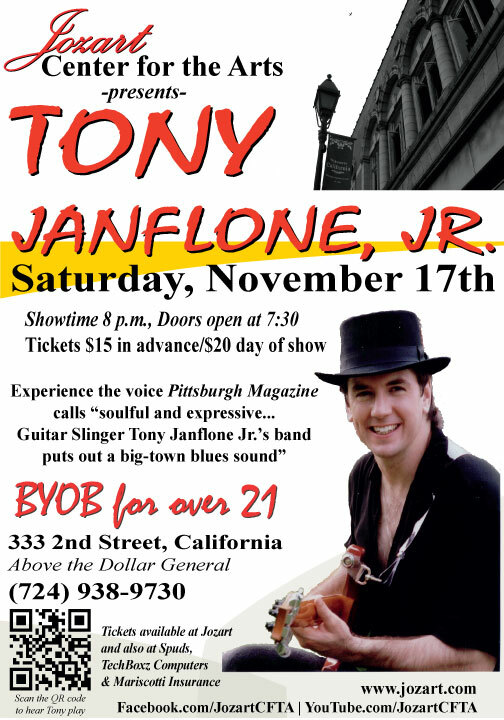 Also in November, Jozart is pleased to welcome Pittsburgh blues, rock and R&B musician Tony Janflone, Jr. According to his web site, “Tony enjoys success with his group, ‘The Tony Janflone Jr. Band ‘, capturing the nomination for five years for Pittsburgh’s Best Jazz/Blues Guitarist for the Stroh’s/In Pittsburgh Music Awards. He has also captured the 1995 award for the Best album for his CD Pieces, best vocalist and best band. Tony’s performing credits include opening for or performing with B.B.King, The Fabulous Thunderbirds, George Thorogood, Joe Bonamassa, Dionne Warwick, Natalie Cole, Steely Dan, The Manhattan Transfer, Jeff Beck, Carlos Santana, Ted Nugent, Peabo Bryson, Gladys Knight, Chicago,” and many other, well known acts. 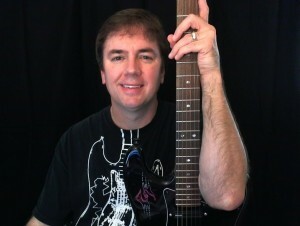 Visit his site at www.tonyjanflonejr.com to experience his award winning sound. He’s set to perform on the Jozart stage on Saturday, Nov. 17. Doors open at 7:30 p.m. with the show starting at 8. Tickets are $15 in advance and $20 at the door. BYOB for over 21 with ID. This performance is certain to sell out fast so reserve your tickets now. The Center’s regularly scheduled programming continues with “Open Easel Sessions” with Terry Binkney on Mondays from 10 a.m. to 9 p.m. and on Wednesdays from 10 a.m. to 5 p.m. Bring in your current project and work in the Center’s unique atmosphere. Guitar and mandolin lessons with Duane Galensky are held Mondays, Tuesdays and Thursdays by appointment. Call the Center or email duane.galensky@gmail.com to inquire about scheduling a slot. Zumba! with Lynne Langley continues on Thursday at 7:30 p.m. and on Saturdays beginning at 10 a.m., followed by Beginner’s Zumba! at 11 a.m. Finally, the Jozart Writer’s Group meets at 8 p.m. on the second and fourth Wednesdays of the month. Join facilitator and fellow writer Jonathan Romano and get feedback on your current writing project. All ages are welcome! The Center is run entirely by volunteers and is supported largely by donations. 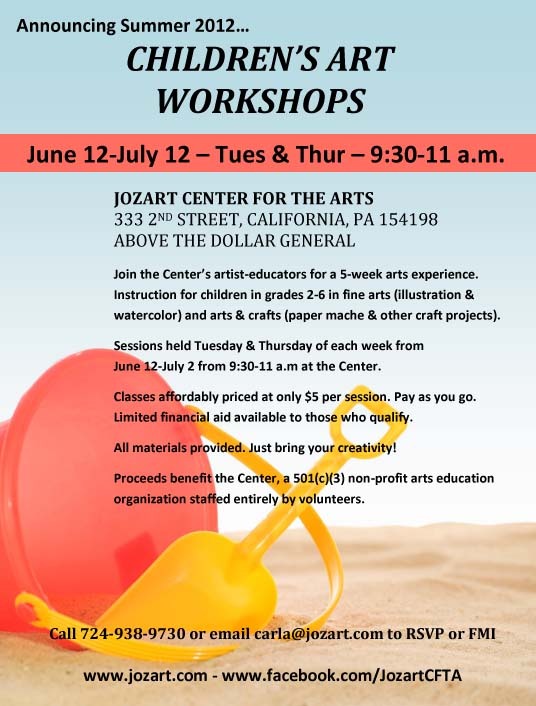 As a qualifying 501(c)3 non-profit organization, all donations to Jozart are fully tax deductible. If you are interested in financially or otherwise supporting your local arts center or in helping to promote the arts in our local area, please contact board president Carla Anderton for more information. Additionally, the Center is always looking for volunteers. Email carla@jozart.com for more details. For more information on any of the aforementioned events or programs, call the Center at 724-938-9730 or visit their web site at www.jozart.com. Join the Center’s artist-educators for a 5-week arts experience. Instruction for children in grades 2-6 in fine arts (illustration & watercolor) and arts & crafts (paper mache & other craft projects). Sessions held Tuesday & Thursday of each week from June 12-July 2 from 9:30-11 a.m at the Center. Classes affordably priced at only $5 per session. Pay as you go. Limited financial aid available to those who qualify. All materials provided. Just bring your creativity! Proceeds benefit the Center, a 501(c)(3) non-profit arts education organization staffed entirely by volunteers. To RSVP or FMI, contact carla@jozart.com or call 724-938-9730.